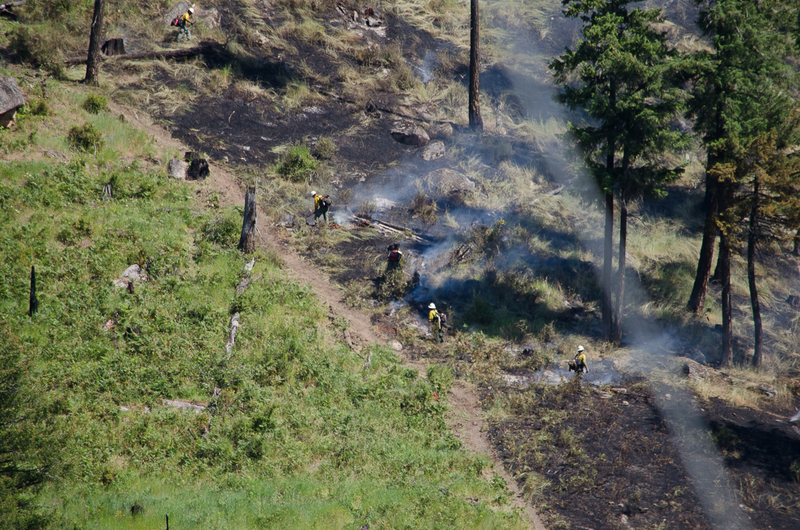 Kamiah, Idaho (July 18, 2018) – Quick response by firefighting resources from the Nez Perce-Clearwater National Forests and Idaho Department of Lands on the morning of July 17, 2018, stopped the forward progression of the Blackerby fire. Fire size remains at 20 acres, unchanged from yesterday, and is 80% contained. Firefighting resources from the Nez Perce-Clearwater National Forests continue to construct and reinforce fire line and continue mop-up activities around the fire’s perimeter. Smoke from fuels burning within the interior of the fire may be visible for the next several days. There are no road or trail closures associated with the Blackerby fire. Hazy and smoky conditions in the local area are due to fires currently burning to the west and not a result of the Blackerby fire.